Food Wishes Video Recipes: We Know a James Beard Nominee! It is my distinct pleasure to announce that our very talented friend, Liza de Guia, has had her website food. curated. 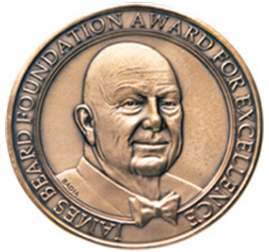 nominated for Best Video Webcast by The James Beard Foundation. I've featured several of Liza's videos here, and think she does an amazing job capturing and sharing these artisan food producers' stories. Congratulations Liza! Here is another example of her (soon to be award-winning) work, a video profile of Michael Osinski and his Widow’s Hole Oysters. Enjoy! That was excellent. It's inspiring to see what people can produce with minimal tech equipment, on both the videographer as well as the farmer. No joke. Thanks. love fresh oysters. i love the smell of ocean. he seems to have a great mission. Thanks for sharing. I explored her site a little bit and found several interesting segments. Will likely return to see what else she has. Thanks so much for being so sweet and introducing my content to your loyal and lovely readers. I truly appreciate all the support and words of encouragement you've given me as I've set off on this passion project of mine! It truly means so much to someone who works at storytelling solo...to hear that people like what I'm doing. I so believe in the passion behind food and to be able to be in the moment with these food artisans and capture the magic of food...well...it's a dream come true. Thanks so much Chef! I am so glad we're friends! Will let you know what happens at the awards. Just so psyched to be nominated nonetheless! It's our pleasure!!! Hope you win, but have a great time nonetheless!